Oliver Hall died in hospital 24 hours after contracting the bacterial infection which mainly affects babies and children. Vaccinations against the disease have been available for babies up to a year old on the NHS since 2015 but not for older children. The call by his parents Georgie and Bryan Hall piles pressure for the Government to get all children protected. 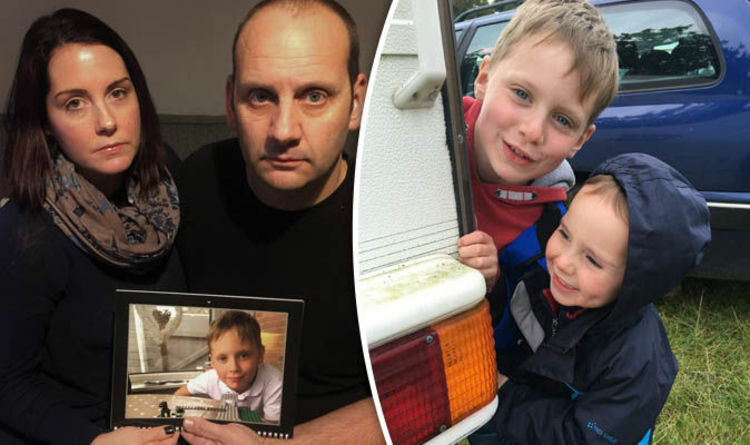 Georgie, 37, said medics at James Paget University Hospital, Norfolk, "did everything they could" to save her son's life before he passed away on Tuesday October 24. Mrs Hall said: "Oliver achieved so much in his short life. He will always be remembered and so we have set up the Oliver Hall Forever Fund tribute website, which is supporting Meningitis Now. "More than £4,000 has been raised so far - and we are really grateful to everyone for their donations and support. "To see that total going up makes it feel that Oliver's life was not in vain." This comes after Avon coroner Maria Voisin called on the Government to fund the meningitis B vaccination for teenagers following the 18-year-old Isabel Gentry death from meningitis in May 2016. One in 10 of the 3,200 cases of the bacterial meningitis in the UK per year are fatal, with one in three leaving sufferers with permanent disabilities. Georgie and her husband Bryan, 43, from Halesworth, Suffolk, say widening the programme will save lives and want to meet with Health Secretary Jeremy Hunt to raise their concerns. Mrs Hall said: "The government are saying it is not cost effective to vaccinate more children against this disease. Meningitis Now, the charity that we are working with, are arguing that point. Our main goal is to help Meningitis Now to get this vaccination rolled out to more children." The meningitis B vaccine protects against meningococcal group B bacteria and has been available as part of NHS routine for babies under 12 months since September 2015. Meningitis' typically symptom is a blotchy rash that doesn't fade when a glass is rolled over it. Others include a high temperature of 38C or above, feeling and being sick, a headache, aching muscles and joints and drowsiness.